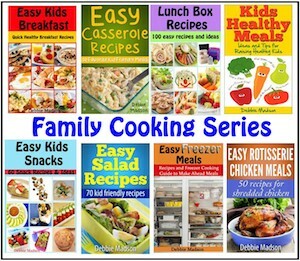 Easy kids meals that are simple to cook and have 6 or less ingredients side dish recipes. These 6 or fewer easy kids meals were composed with the chef in training age group in mind. 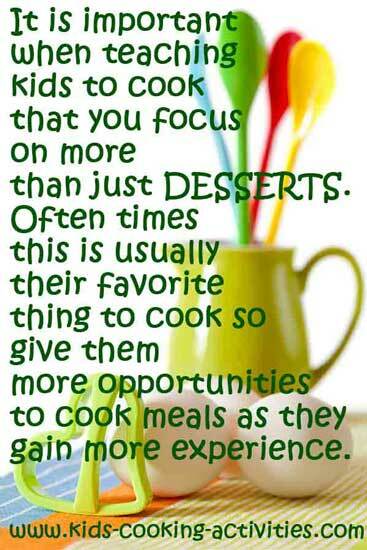 To help them continuously learn and practice after the chef in training cooking lessons. 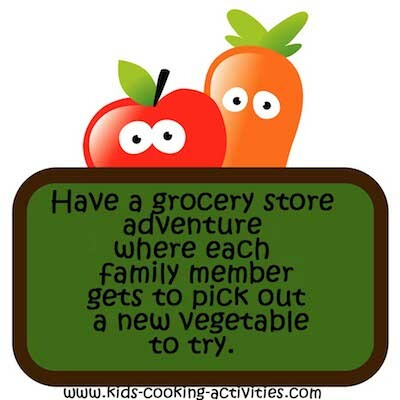 However they are also great for quick easy meal ideas that your kids can help with. As stated before these kids cooking recipes were composed with 7-11 year olds in mind so you may adjust the recipe directions as needed. For example, older kids can do the cooking where as younger age groups will not be cooking and do not have the attention span for some recipes. They will do better when given small tasks and helping you create the recipe. Have adult cut zucchini in half. Child can spread butter on one half of the zucchini. Sprinkle cheddar and Parmesan cheese and Italian seasoning on other half. Place buttered half on top of cheese half. Adult can slice in half or thirds. Wrap in aluminum foil and grill for about 10-15 minutes. Bake potatoes in oven until tender. Allow to cool slightly. Cut top off and set aside. Scoop out potatoes and place in bowl. 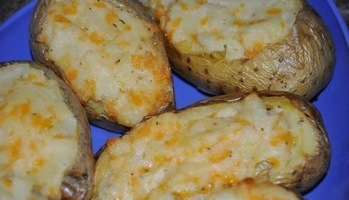 Place potato shell in a baking dish. In your bowl with potatoes add butter, milk, sour cream and a pinch of salt and pepper. Blend together. Taste and season as needed. Spoon mixture back into potatoes. Sprinkle tops with cheese if needed. If desired at this point, you can place in the fridge until dinner time. Bake in a 350 degree oven for 15-20 minutes. You can also add other ingredients if you'd like such as chopped chives,cheddar cheese, chopped green onions or sprinkle in chopped cooked bacon. I also add a sprinkle of dry ranch dressing mix for more flavor. In a bowl, toss together potatoes, seasoning salt and oil. When potatoes are well covered, spread in a single layer on a cookie sheet. Bake in the oven at 425 degrees until browned about 20 minutes. * You can cut back on the amount of oil and salt in the recipe if you desire. *Try other seasonings in place of seasoning salt such as Italian seasoning, Parsley or basil. Or toss with Parmesan cheese. Combine all ingredients together and serve with tortilla chips. Help your child be in charge of dinner with these easy dinner series. Mix tuna, mayonnaise and celery in a bowl. Cut stem out of tomato. Slice off top. Scoop out inside of tomato, leaving the shell intact. Fill each tomato shell with tuna mixture. Place on a baking sheet and broil 3-4 minutes. Allow the oven to preheat to 425 degrees and line a 15X10 baking pan with foil. Scatter the potatoes and turnips over the bottom of the pan. 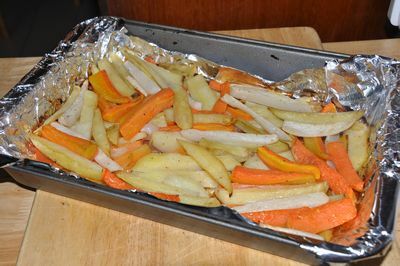 Layer in the onion wedges and evenly spread the carrots over the top. Spray the vegetables well with a non stick cooking spray. Adult should boil water and cook pasta noodles. Add peas and carrots the last few minutes of cooking. Drain and rinse with cold water. Mix three ingredients, pasta, peas mixture and ham, together in serving bowl. In small bowl mix dressing. Pour over salad mix. Chill 4 hours. Wash Brussels sprouts and have an adult cut in half. 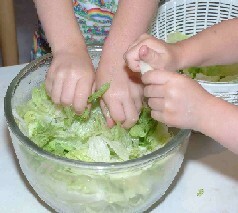 Place in bowl and add salad dressing. Toss to coat. 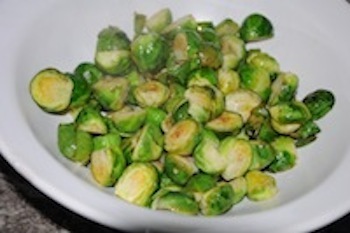 Place sprouts on cookie sheet and cook in a 475 degree oven 5-10 minutes until toasted. 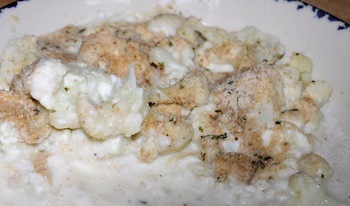 Adult should cook cauliflower several minutes in boiling water. It does not have to be cooked until tender however. Chef in Training can place cauliflower in bottom of 8 inch square or 11x9 casserole dish. Stir until thickens. Spoon mixture over cauliflower. Sprinkle with ½ Cup shredded cheddar cheese. Adult should bake 350 degrees 15-20 minutes until tender and cheese is melted. Scrub and have an adult cut potatoes in quarters. Cook in boiling water until tender. Add peas last few minutes of cooking potatoes. In a saucepan, melt butter. Whisk in flour and salt. Continue to whisk milk into mixture until smooth. Stir and cook until bubbly and thick. Add potatoes and peas. Stir until all potatoes are coated. Serve. Break off ends of asparagus. In shallow skillet bring 5 cups of water and 1/2 Tablespoon salt to a boil. Place in asparagus and return to boil 5-7 minutes. Insert sharp end of knife in stem if tender they are done. Place in serving dish and pour melted butter over top. Make slices 1/2 inch apart in the potatoes, cutting three quarters of the way through the potatoes and leaving the bottoms intact. Carefully fan the potato slices apart. Place each potato on a piece of aluminum foil big enough to fold completely around the potato. 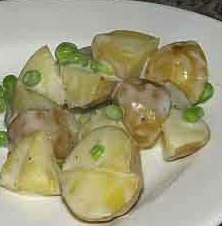 Fill each slice in the potato with onion slices and a cube of butter. Sprinkle the potatoes evenly with the celery, salt, oregano, garlic powder and pepper. 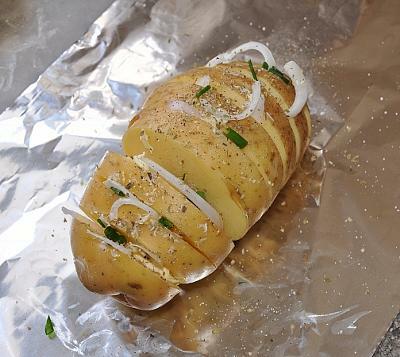 Wrap the potatoes up in the foil and seal the foil tightly. Place the potatoes on the grill and cover the grill. Cook for 40 minutes or until tender. 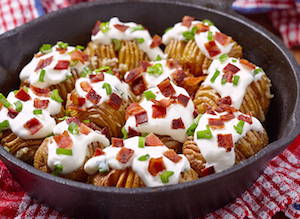 Add toppings of your choice like sour cream, bacon pieces, chopped onions, etc. 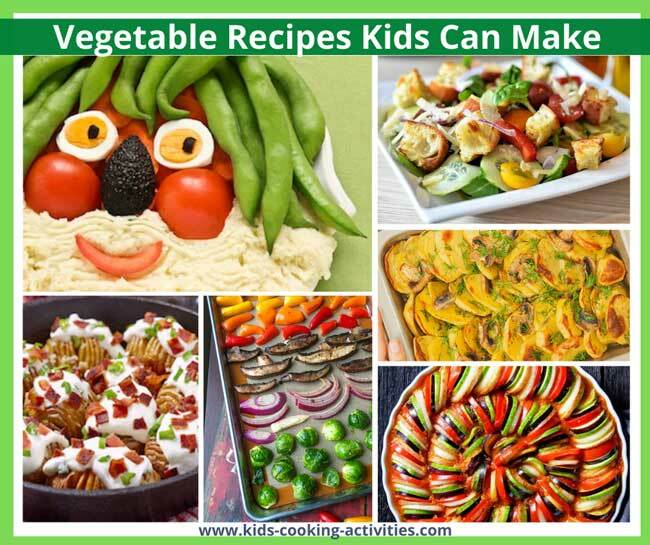 Check any of our food fact pages for vegetable and fruit easy kids meals and recipes. Jump down to our reader's submitted recipes.